At Yellow Lake and Other Places: Undiscovered Voices--So Much to Celebrate! 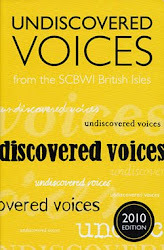 Undiscovered Voices--So Much to Celebrate! I was part of the 2010 cohort, and I'd like to take this opportunity to wish the authors and illustrators featured in this year's edition the best of luck! Getting into this anthology does change lives, and not always in ways that seem obvious. And many more titles have been added to this list! 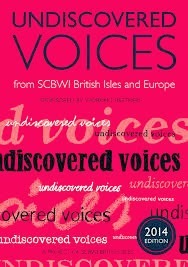 For me, being part of Undiscovered Voices has felt like getting a fantastic gift that never stops giving. Writing is a lonely, often frustrating, and sometimes heartbreaking undertaking. 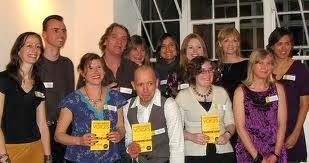 Through Undiscovered Voices I've met fellow writers who have become my friends. I've met people who've been there to help me celebrate the good stuff, and who've also helped me through the tough times. Struggling with a passage in your WIP? Dealing with a disappointing rejection? Finding it hard to meet a deadline? Unsure of whether it's even worth it any more? Chances are that someone you've met through Undiscovered Voices has felt this way, too, and can offer support and encouragement when it's most needed. Very few of us are lucky enough to avoid at least some setbacks on the writing road, either before publication or afterwards. It's a long journey, and a sometimes turbulent one. How wonderful it is to have fellow travellers who are wise, generous and, above all, know what that whole "slings and arrows" thing is really like. To be in the company of such great people, each of them accomplished and talented in their own right, has been a real honour. So, class of 2014--consider yourself fortunate to be part of such a special group of writers and illustrators. I wish you all success, but more than that, I wish you the goodwill and support that I've been given. Thanks to the editors, the judges, and especially the wonderful writers and illustrators who have made such a difference to me! Thanks, Nick. I should probably have revealed my real UV enthusiasm...an amazing party every two years! Sorry we didn't chat longer. I agree with it all, well said, Jane. It's great to be in the 'gang' no matter which route you tread in the future. I am reading 'At Yellow lake' at the moment for a school book award. (blog here: http://lifefromeyelevel.blogspot.co.uk/) It is brilliant. I really like the way it is written in the three parts for each person. Loving the book! Cant wait for another book by Jane McLoughlin! I'm so glad you're enjoying the book, Sabilas! 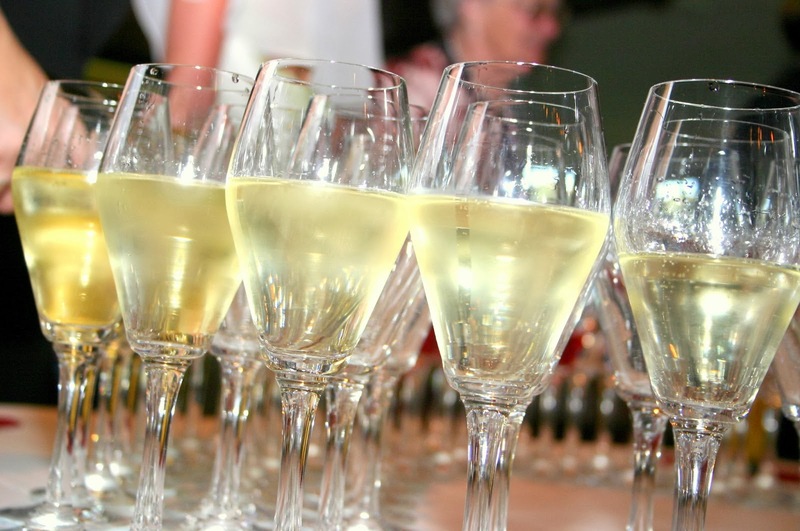 I'll be following your blog posts and hope to meet you at the ABA Awards ceremony in July. Hi, I have just started reading at yellow lake for the Amazing Book Award with my school and know Sabilas. I am finding the way it is structured very interesting, and have blogged about what how I am finding it at my blog http://uncoveringcovers.blogspot.co.uk/. I have just been wandering why you choose to do Etta's part in first person but Peter's and Jonah's in third person. I am enjoying it so far.Thanks. Thanks for your comments, Lena! You've posed a really good question and I'm not sure if I know the answer. It's sort of the way they came out. I couldn't get Etta's "voice" in the third person, and couldn't get Peter and Jonah's in the first. A bit awkward, but it's the way they came to me, and I was happy that my editors felt that the structure worked for the story and the characters. I hope you like the rest of the book, and I totally agree with you about Gillian Cross' book! Can't wait to meet her, and the other brilliant writers on the shortlist, at the Amazing Book Awards!